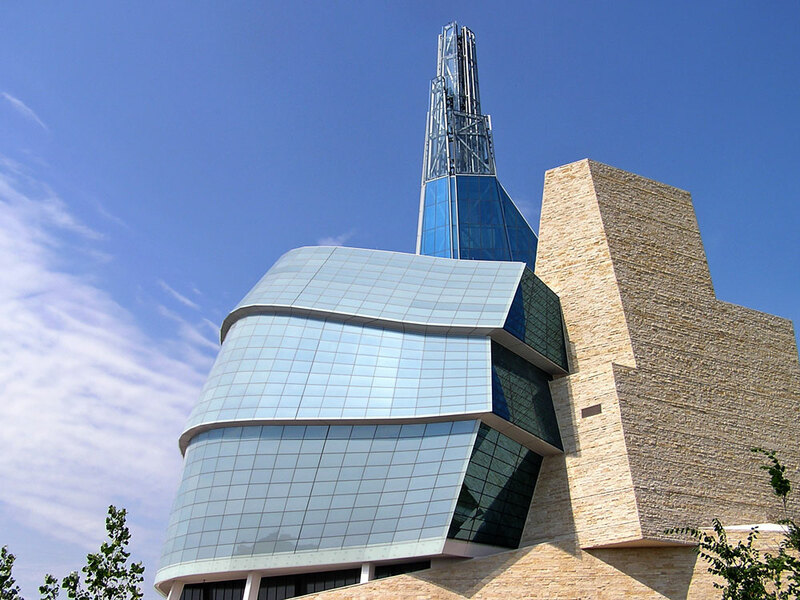 Canadian Museum for Human Rights - Walters Group Inc. 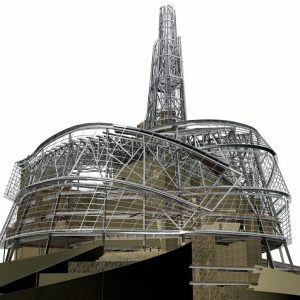 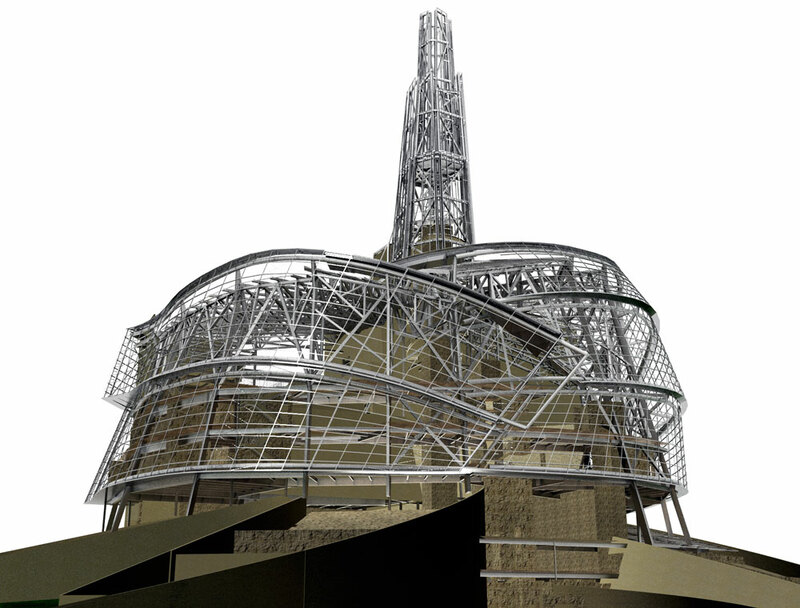 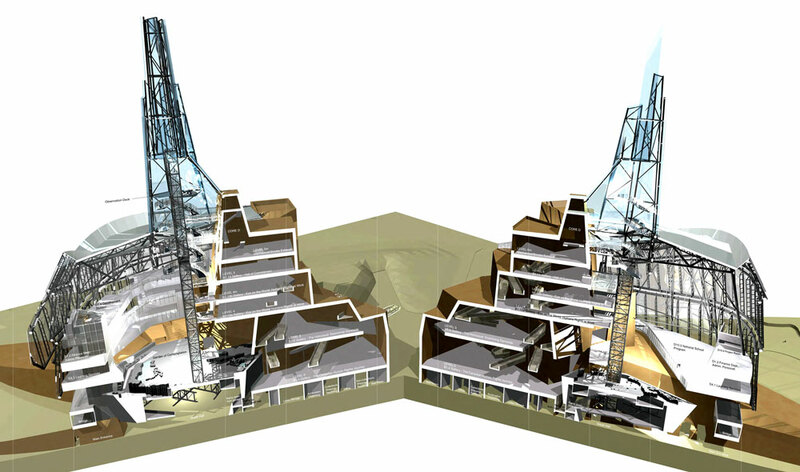 The architect’s vision for the Canadian Museum for Human Rights (CMHR) was to create a journey, beginning with a descent into the earth where visitors enter the CMHR through the “roots” of the museum. 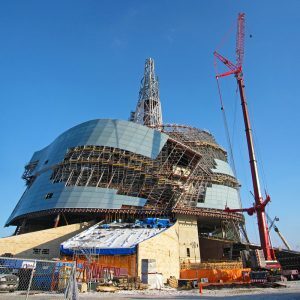 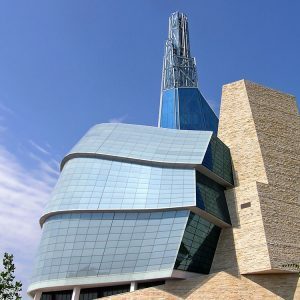 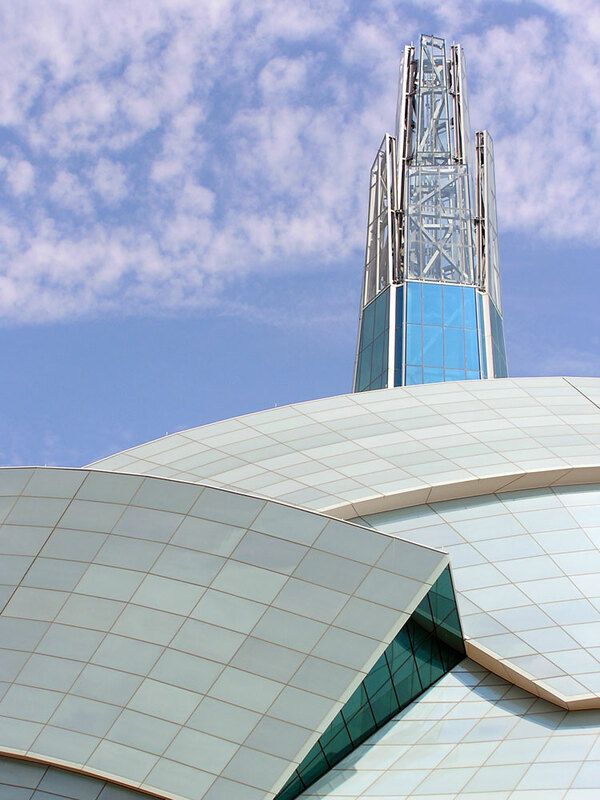 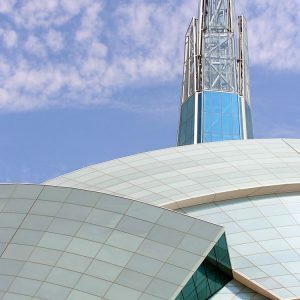 Visitors are then led through the Great Hall, a series of vast spaces and ramps, before entering into the Tower of Hope, a tall spire protruding from the CMHR that provides visitors with a view of downtown Winnipeg. 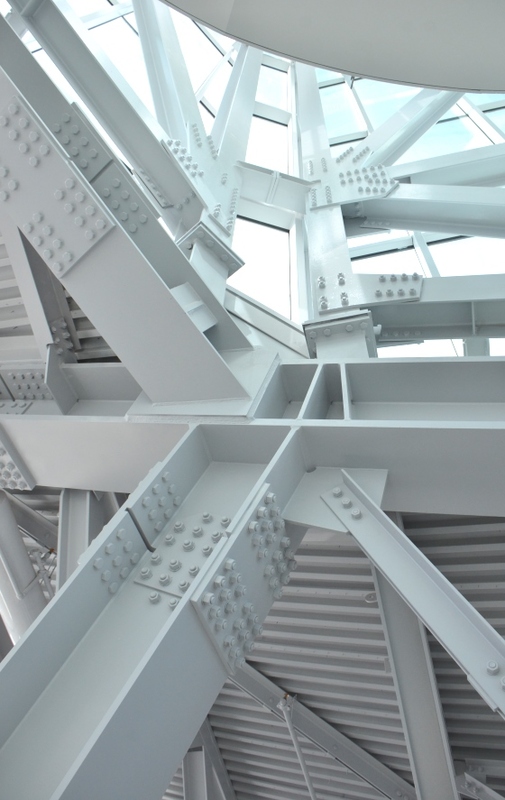 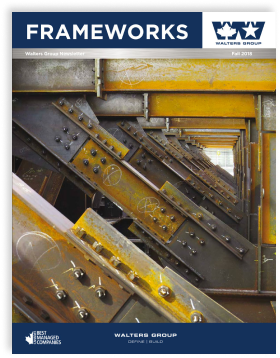 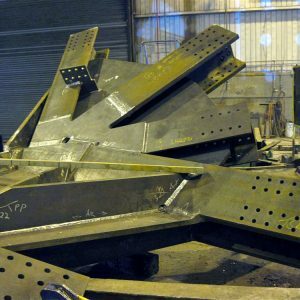 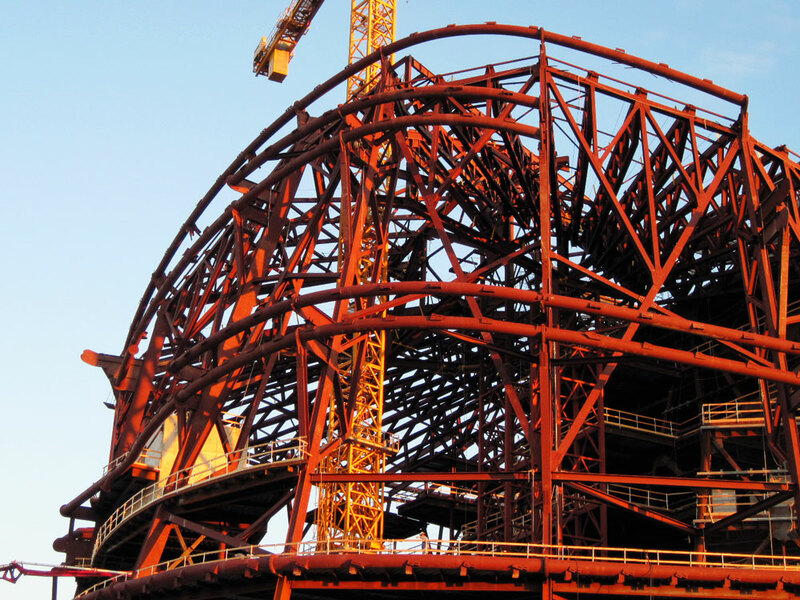 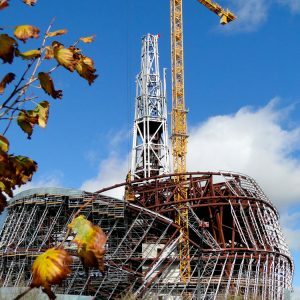 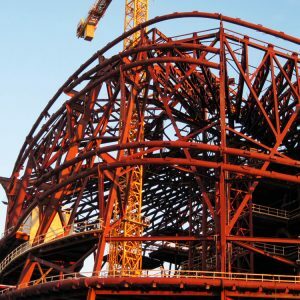 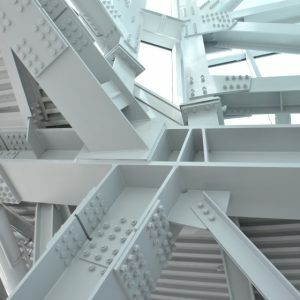 Walters Inc. provided a full range of services including Design Assist, value engineering, connection design, detailing, supply and erection of 5200 tons of AESS, with predominantly non-regularly curved geometry. 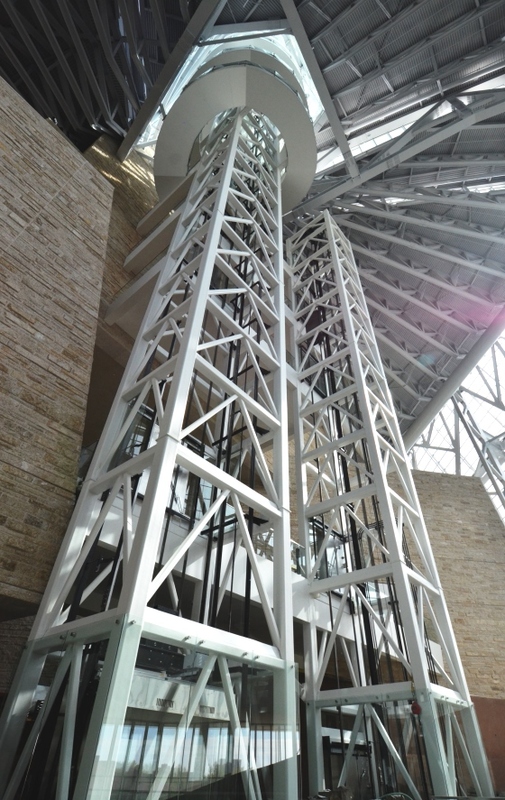 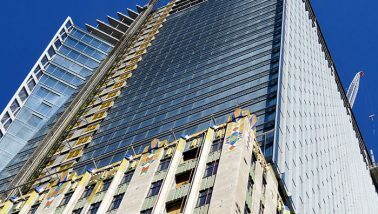 We were involved in all areas of the building and the Tower of Hope. 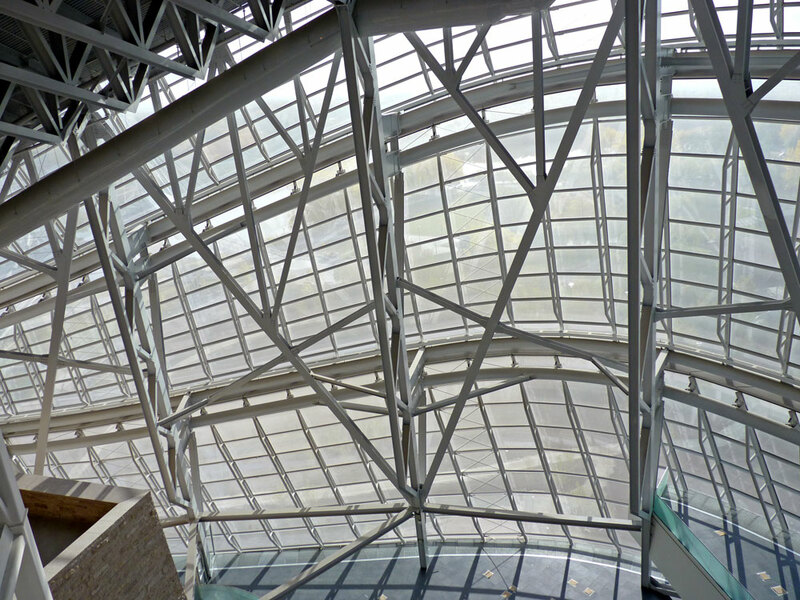 The complex structure required close integration with concrete and glazing. 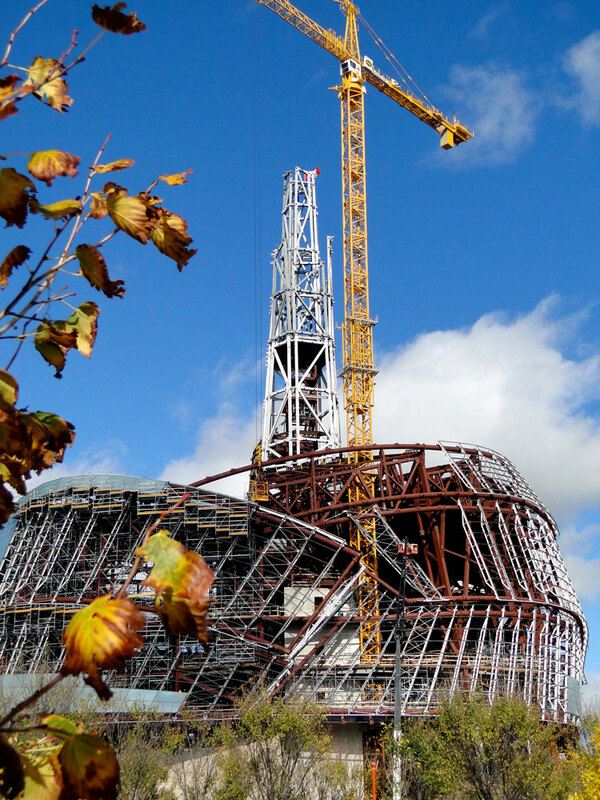 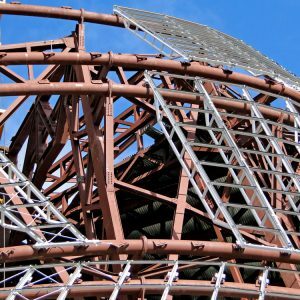 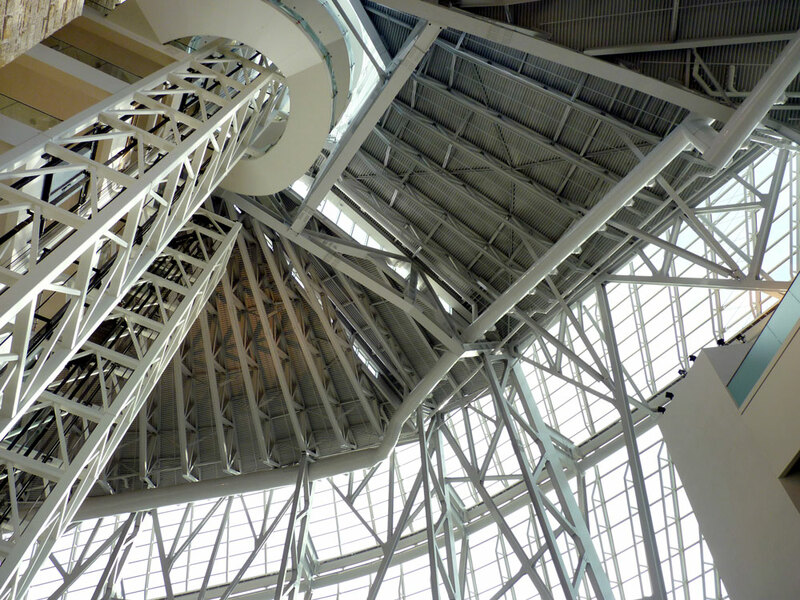 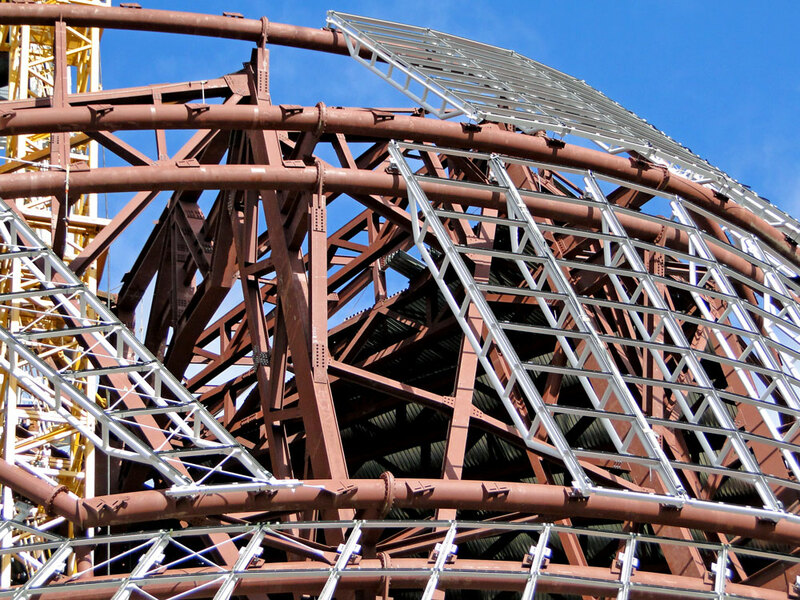 The curved cloud structure of steel mating with the complex glazing structure created a real challenge. 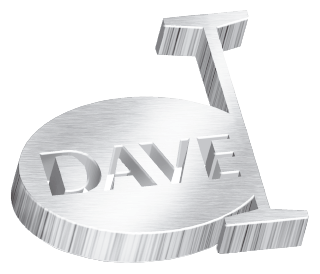 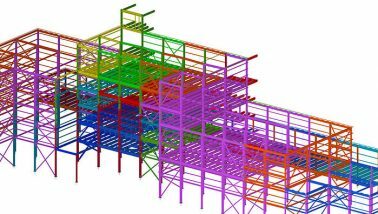 To make sure we created a perfect fit, we integrated the glazers model with our model and took into consideration tolerances and deflections that would have an impact. 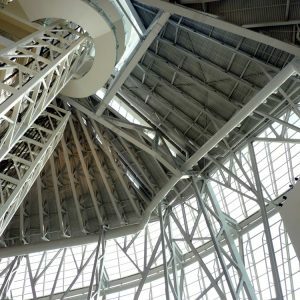 The cantilevered exhibit hall carrying hundreds of tons of steel, concrete and brick needed to be installed at a super elevated height to overcome negative deflection. 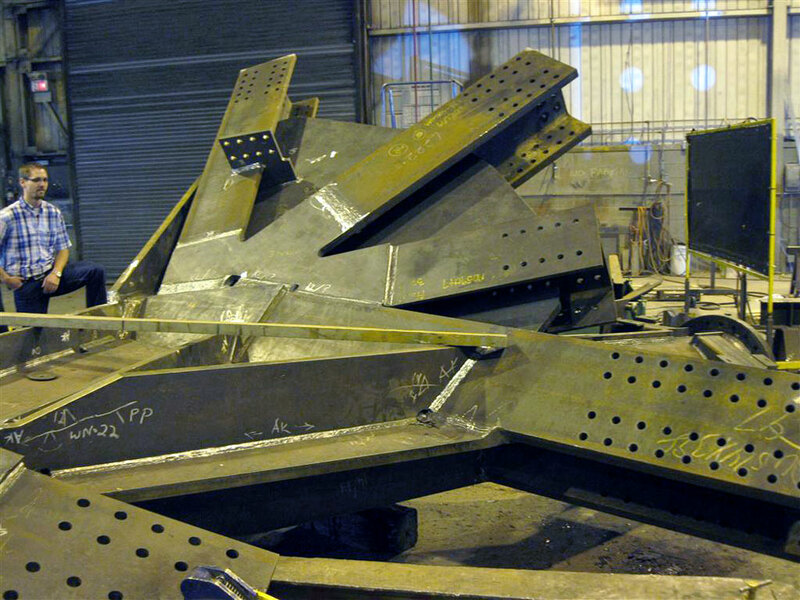 The extremely long span of the 24 ramps in the Hall of Hope area, created challenges when joining the sections. 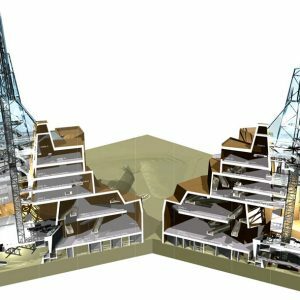 At the beginning of the project, we invited the architect to share his vision for the project so that we could be clear about what we needed to ask for in the Value Engineering/Design Assist process. 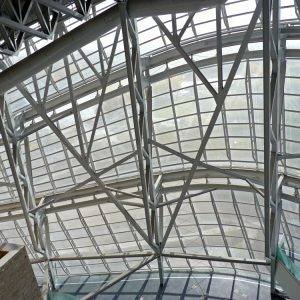 Given the curvature of the building design which is very unique, we had to work closely with the building envelope requirements and take into consideration the architecture in our heavy connections. 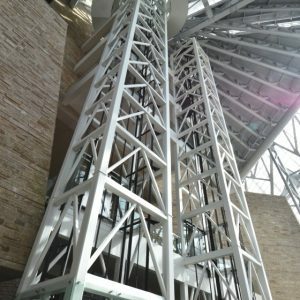 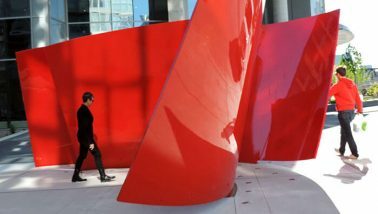 We worked with the Engineer for eight weeks in a Design Assist process to ensure that the complex structure could be built.